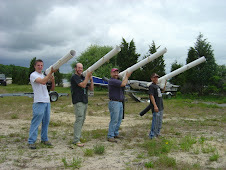 Cold Spring Harbor, NY — May 1, 2009 — Seagrass has received a significant boost thanks to a $500,000 research grant (H.R. 1105, the Omnibus Appropriations Act of 2009) co-sponsored by Congressman Timothy Bishop (NY-01) and Congresswoman Rosa DeLauro (CT-03). These overlooked, but essential underwater flowering plants, form dense stands in shallow salt-water bays and harbors, and provide critical habitat for local fish and other marine life. We all know the story here, at least if you have been following my blog, but seagrasses are vital ecosystems that serve important nursery and foraging habitats for many fin and shellfish. Many of the species are also of economic importance, which is garnering eelgrass more attention. This is big news for Long Island, since there are numerous critical gaps in the information necessary to successfully manage and restore eelgrass. 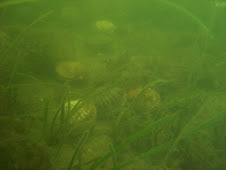 And, while there may be other suitable habitats in the Peconics for my study organism, the bay scallop, eelgrass is the preferred habitat. To learn more about seagrasses, and eelgrass in particular, check out Seagrass.LI. 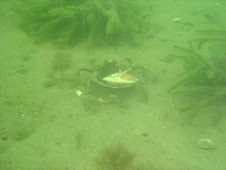 Also, check out this new blog by a marine biologist from Canada.